Ever since I knew how, I’ve been a voracious reader. Sometimes, I’d take forever to read a new book. Others, I could tear through it in a few days. But one thing has never changed: books excite me. I love having something I can chew through. Something I can wrap my mind around and contemplate. Or something that is super eventful and poetic. Look, I love books, OK? I’m really not too hard to please. But every once in a while, there comes a book that really makes you think, really changes your life. And I’ve come across a few of these in my short 24 years of life. 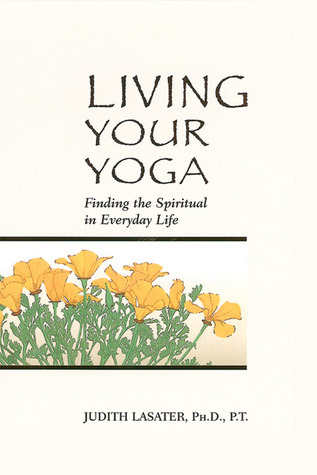 Got this book when I was just starting my curiosity with yoga and meditation. At the time, I think I was just browsing Amazon for good Eastern Philosophy and yoga reads. It’s short, but it’s life-changing. I mean, seriously. So many of the things that I implement into my meditation come from this book. Remember when I was talking in yesterday’s blog post about how you can’t escape your humanity? This is where I got that and what helped me to understand it. 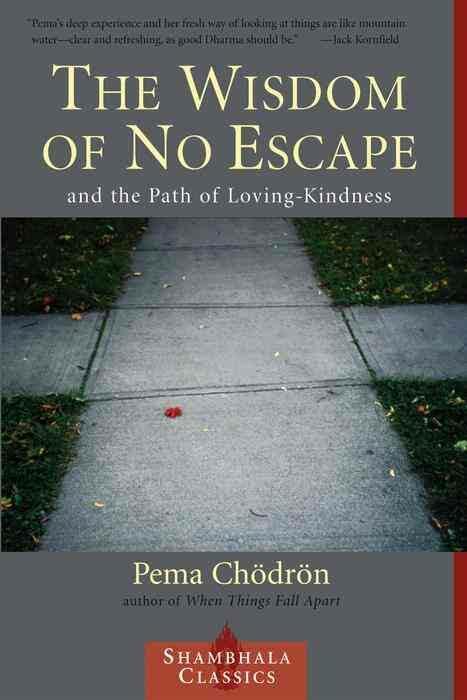 The author, Pema Chödrön, is kind of a wonder herself. So cool. She’s American, but she’s also a Tibetan Buddhist and ordained nun. And the way she talks in this book seals the deal. You really have to read it to understand that, but just trust me…she’s the sh*t.
So this book really goes in-depth with how inescapable life is. But it’s not discouraging. At all. In fact, it really helps you to accept and learn to love everything that life has to offer: the good, the bad, and the ugly. Because that is life. That’s how you know you’re vibrant and vital. Like that phrase I used yesterday, the one about being a “juicy” human being. So basically, this book is a simple read that puts you on the path to embracing all of life and becoming a better person because of it. This is also where I learned about Tonglen meditation, which roughly translates to “giving and taking”. It’s actually kind of the opposite of what most people think meditation is about. Most people would think meditation is about making yourself feel better, breathing in the good and breathing out the bad. But this isn’t the case with Tonglen. Tonglen is in essence a compassion practice, a way to lean into pain or negativity and learn from it. I don’t think I’m doing it justice, so I’ll let Pema explain it herself. Written by the founder of the Virgin Group, this book is something that I’m currently chewing through and gleaning a lot of useful information. Something you’ll learn about me: I tend to read a bunch of a book, put it down for a bit while I read another, then pick it back up when I’m done tearing through a section of the previous book. It’s just how I do things. That’s what I’ve been doing with this book. I downloaded it a few weeks ago on iBooks and have been reading it steadily since then (between chapters of Sweeney Todd…another great book you should read when you have some free time). This book is fantastic if you have a hard time taking ambitious steps. 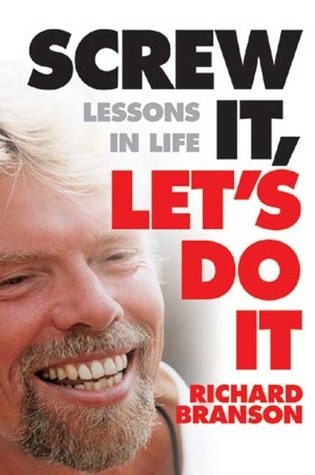 Branson talks about how he’s built his current business as well as how he makes business decisions. He does this combination of planning and flying by the seat of his pants that’s really encouraging. Never gets caught up in being afraid to try things or being “ready” before he does them. He just does them. And dude is worth about $5 billion…so I’m gonna listen to what he has to say. Another good one for helping to integrate yoga into your everyday life. Yoga is not some mystical practice that’s only reachable for the enlightened or the extremely flexible. It’s a spiritual practice that’s accessible to anyone who’s willing to know themselves and accept. The author, Judith Hanson Lasater, is a mother and a yoga teacher and comes by her own shortcomings honestly. 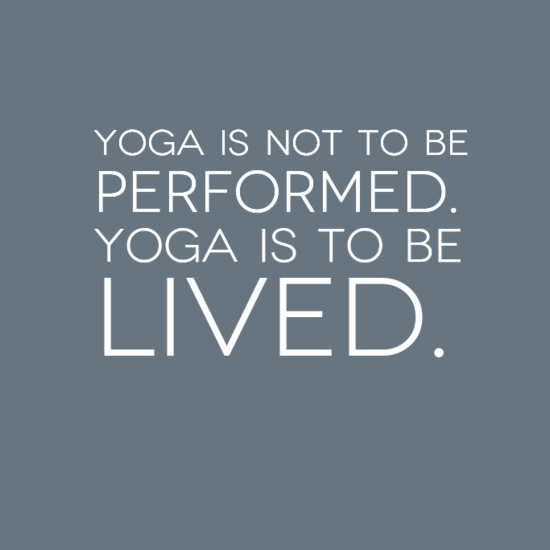 Yoga is not about learning to be perfect, and it’s not just a movement that starts and ends on a mat. It’s a way to accept that you are imperfect, but always be mindful of yourself and others. And the practice on the mat? It’s just the saturated version that helps to put you back where you’re meant to be in the moment. Living your yoga. Lasater tells you how to integrate your yoga practice into your everyday life, rather than simply stepping onto a mat and doing a few movements. This book is beyond insane. It’s f*cking fantastic, too. Why? Because Jenny Lawson is so hilarious and relatable. She also has a blog called The Bloggess which is the main platform for her insanity. I can’t say enough about it that’ll do it justice, you just gotta read it for yourself.Go read a few posts, then imagine an entire book full of that comedic gold. That’s what Furiously Happy is. 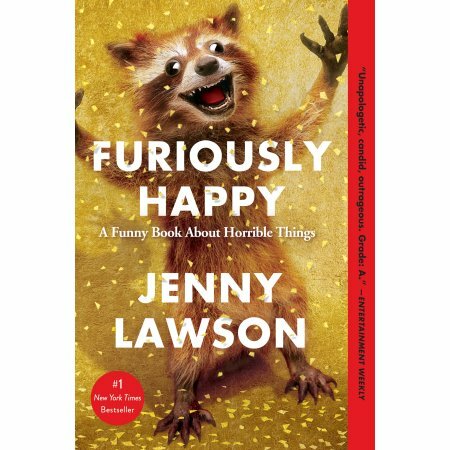 But more than just being funny, Jenny Lawson is incredibly inspiring. And what’s so refreshing about it is I don’t think that was her main goal. The book sounds like a mixture of the dialogue in a diary and the dialogue between 2 or 3 best friends taking shots of tequila until the bottle is gone. Some of the things she does I could totally see myself doing. Other things, I’m like, “Girl, what is you doin’?”. But it’s so worth the read. And it’s what inspired me to do what I’m doing right now. Because I know that no matter what my complex, no matter how tired I’m feeling, I can write about it and someone will listen…and maybe even get something out of it. If you’re needing to hear the inner thoughts of a fellow nutter, you NEED to get your hands on this book. Got this one from the library a few weeks ago and I’m still working on it, but it’s been helpful already, so it had to make the list. So far, there’s a whole lot about learning how to reintegrate life and work. Somehow, we Westerners have managed to redefine work as something you use to get by. You use it to make yourself a better life, but it’s not part of that better life for most people. Essentially, we all spend the majority of the week trying to make money for the weekend, where we spend it all trying to make ourselves feel good and “live”, as we call it. Just to go back on Monday to a job we hate. And why the hell do we do this? Because of an idea that one day, everything we’re going through will pay off. We’ll get rich and be able to retire, or we’ll be able to afford the house we want (only to never spend time in it because we’re working so much), or we’ll be able to prove to everyone else that we “made it” (even though we’re miserable). 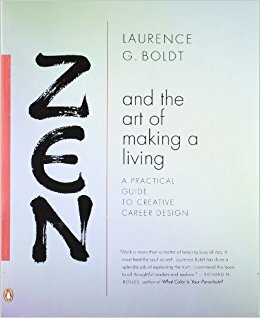 In this book, Boldt offers advice about finding the balance between a job we love and earning enough money to keep doing it. I’m all about making my own opportunities. I don’t like being limited to the parameters of of the opportunities that people give me. The “catch’, if you will. If you get this, you can’t do this. Obtain this, and you can’t have this. Personally, I’m saying, “F*ck that. I don’t like that, so I’ll make it myself”. Hence this blog :). But it’s not just for entrepreneurs like me. This book is great for anyone looking to find that thing that they enjoy doing. Shoot, if your passion is to be a plumber, this book is for you. If your passion is administrative work or waiting tables, this book is still for you. And that’s why you need to add it to your collection. What books have been life-changing for you? Like I said earlier in this post, I love to read. 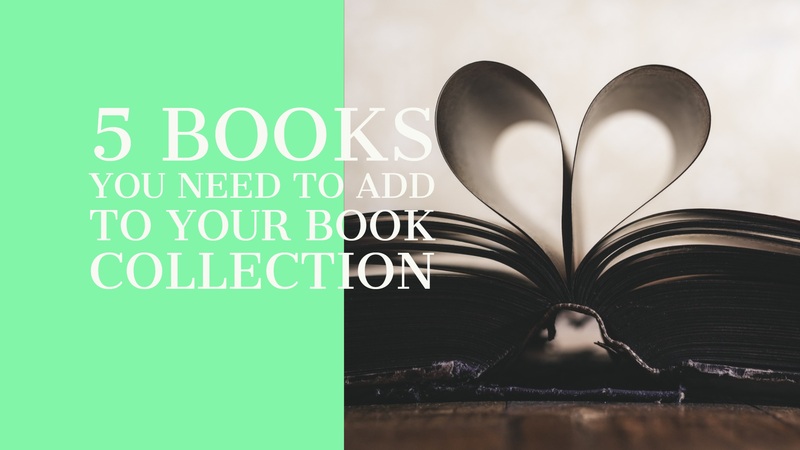 So please give me some suggestions in the comments: what books do you love? 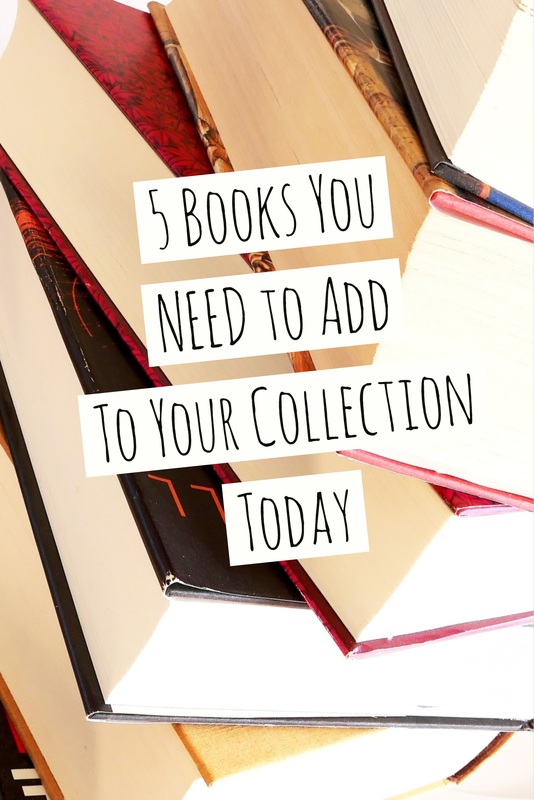 What books have inspired you to take a new step in your life or make a change?